Mpras Law Offices are located in Annandale, Virginia, just outside of Washington, DC. The focus of our practice is in Immigration law and we provide legal representation before United States Citizenship and Immigration Service, the United States Immigration Court, the Board of Immigration Appeals, and the Executive Office for Immigration Review, all United States Embassies and Consulates, and the United States Department of Labor. With over forty years experience in the field of Immigration Law, Mpras Law Offices represents individuals and corporate clients throughout the United States and the World, by providing consultation and representation with regard to all Immigration matters. United States Immigration laws being federal in nature are not governed by the laws of the individual states, thus allowing us to provide our clients with the same high standard of service and effectiveness regardless of location. At Mpras Law Offices, we closely monitor and are updated on all ongoing changes and developments in Immigration and Nationality laws. We strive to ensure the most effective and efficient methods of client representation through the use of state of the art technology for legal research, client communications and case management. All attorneys at Mpras Law Offices are members in good standing of the American Immigration Lawyers Association and subscribe to the associations high standards in the practice of immigration law. 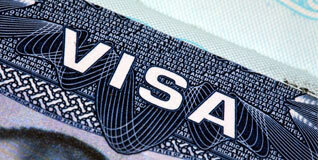 All Immigration matters are handled by our attorneys, and are not referred to outside counsel. Should you require assistance in an Immigration matter, please contact us to schedule a consultation.